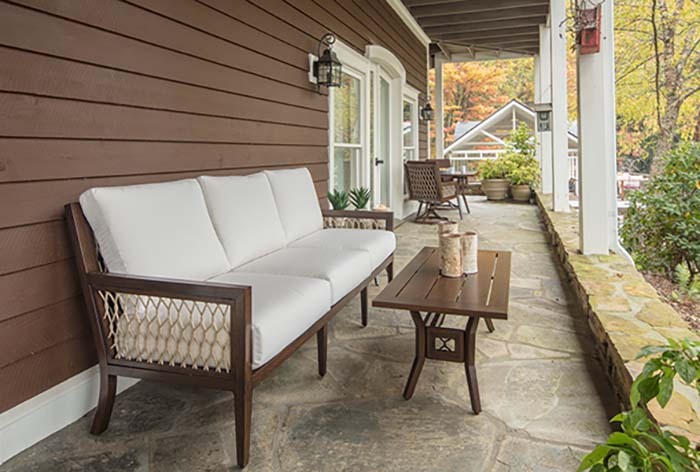 Elegant, tapering lines and intricate rope weave create a sophisticated collection that brings style to your outdoor space. 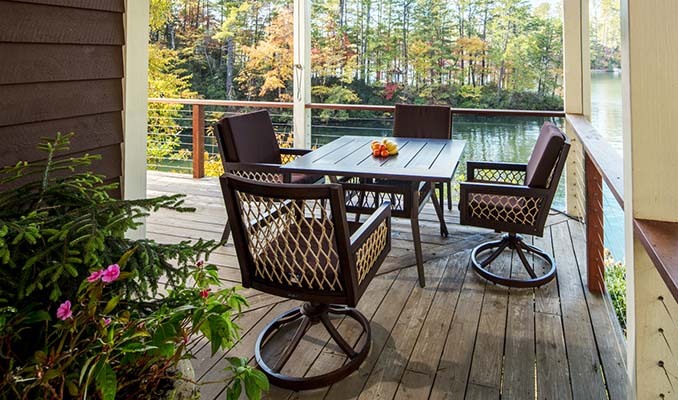 The frames are constructed from aluminum then finished with a durable, protective powder coat and hand-painted to resemble fine wood furniture. 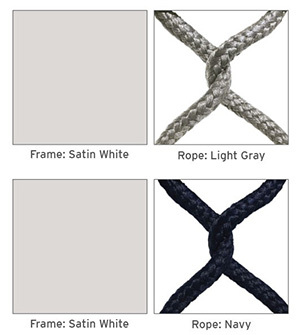 The rope is strong, soft and weather-proof thanks to a PVC core and 100% solution dyed acrylic wrap. Seating cushions are covered with Sunbrella’s solution dyed acrylic. 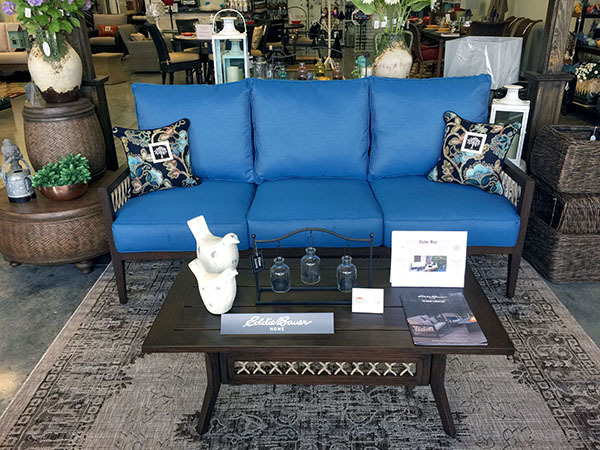 We feature several pieces from the Echo Bay collection in our showroom for your immediate purchase or you may customize your selection with the available frame finish & rope combinations and your choice of Sunbrella fabric for the cushions. Featured in our showroom are the Echo Bay Sofa, Loveseat, Swivel Club Chair, Side and Coffee Tables in the Dark Mahogany Finish with Sunbrella Canvas Regatta cushions.